First week of March is about to come to a close which means that Spring is in the air, and judging by all the rain we have had in the past week (somewhere in the neighborhood of 5-7 inches) the grass should be growing good on the golf course soon enough. Take some time this spring to check out all of my Weekly Core Subjects Resources Posts and find something that you can use in your classroom. You will also notice that I have created pages for each subject at the top of the blog, although they are not updated yet. 1.) Penzu is your own personal journal and online diary. Students in a 1:1 school could use this site for free writing assignments in class. There are free and pro accounts available. 1.) Get the Math is a multimedia project about algebra in the real world. See how professionals working in fashion, video game design, and music production use algebraic thinking. Then take on interactive challenges related to those careers. 2.) Show the Math is a simple site that allows you to show your work when solving equations where the computer won't do anything for you. Right now it is still in the beta testing stage. Eventually you will be able to publish your work and then copy it over into a document, post to a web page, or email a link to your published work. 3.) "Interactives" provides educators and students with strategies, content, and activities that can enhance and improve students' skills in math. 1.) Lunar Phases is a Flash interactive that allows users to see all the phases of the moon and animate them as well. 2.) 101science.com is your internet science PORTAL to more than 20,000 science web pages. Help students improve their grades in class, increase content knowledge, make work easier, and enjoy learning. This site is free with no sign-up required. There is a huge list of topics to choose from. 3.) "BLOSSOMS stands for Blended Learning Science or Math Studies. It is a project sponsored by MIT LINC (Learning International Networks Consortium) a consortium of educators from around the world who are interested in using distance and e-Learning technologies to help their respective countries increase access to quality education for a larger percentage of the population." 4.) "The Exploratorium isn’t just a museum, it’s an ongoing exploration of science, art, and human perception—a vast collection of online interactives, web features, activities, programs and events that feed your curiosity." 5.) The Comic Book Periodic Table of Elements is a cool resource for students. It takes a look at comic book characters and their special powers and how they relate to the various elements of the Periodic Table. 6.) InnerBody.com is a website that provides animations, 100's of anatomy graphics, and thousands of descriptive links. Study the anatomy of the human body online using anatomy charts, models, and diagrams. It's fun, interactive, and an ideal reference for anatomy students. 7.) "Interactives" provides educators and students with strategies, content, and activities that can enhance and improve students' skills in science. 8.) Web Elements is another interactive Periodic Table of Elements. There are 2 dozen different ways to examine each element. A very thorough Periodic Table interactive. 9.) APlusPhysics is a free online physics resource that focuses on problem solving, understanding, and real-world applications in the context of introductory physics courses. 10.) Zooniverse is home to the Internet's largest, most popular and most successful citizen science projects. There are several projects that are currently in the works: Milky Way, Planet Hunters, Old Weather, Moon Zoo, to name a few. This site seems very promising. 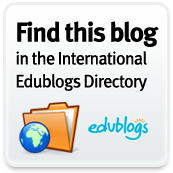 It is important to note that many of the science resources that I find come from the Educational Technology Guy Blog who has more in depth posts about several of these sites. 1.) Tripline is a website designed to share trips through images, audio, and stories. I wrote previous post about it and that is where I will direct you for more information. 2.) Reading Between the Battle Lines of the Constitution: An Annotated Guide is a valuable resource for U.S. History and Government teachers. I highly recommend sharing this with your students. It does a great job of explaining several parts of the U.S. Constitution that can be difficult for students to understand. 3.) History Tours is a Wiki that gives teachers access to pre-made Google Earth tours on various topics in American and World history. These tours provide an excellent backdrop for visual learning. They allow students to view people and places of historical importance while the teacher presents essential background knowledge. 4.) Mapping the Measure of America provides "an easy-to-use yet methodologically sound tools for understanding well-being and opportunity in America and to stimulate fact-based dialogue about the issues we care about: Health, Education, and Income." These are some very useful interactive maps that you can use in the classroom. 1.) I found this great blog post from the InTec InSights blog that contains several musical instrument interactives that would be great for classrooms with Interactive Whiteboards or Wireless Slates. 2.) The International Music Score Library Project is a music library to provide music scores free of charge to anyone with internet access, with several other projects in planning. IMSLP is also entirely collaborative, and all contributions are greatly welcome. 3.) Musictheory.net is a great website to find lessons, exercises, and tools for teaching music. 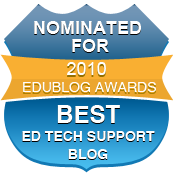 Free Technology for Teachers has a great blog post about it, so I will point you there instead of reinventing the wheel. 4.) Drawspace is an international community of over 320,000 drawing enthusiasts, professional artists, art educators, and authors of art books. Check out our huge (and continuously growing) library of free, downloadable, high-quality lessons authored by world-renowned artists, art educators, and authors. 5.) The Endless Mural is an interactive, collaborative art website built in HTML5. They encourage you to experiment, play and draw, using all the tools and artwork provided. When you are happy with what you have created, submit your composition to the endless mural and become a part of this global collaboration. 6.) PE Universe is a Social Network for PE Teachers. There are videos, discussions, and an idea clipboard where you can jot down your ideas to get to them later. Remember, even PE teachers can use Educational Technology.